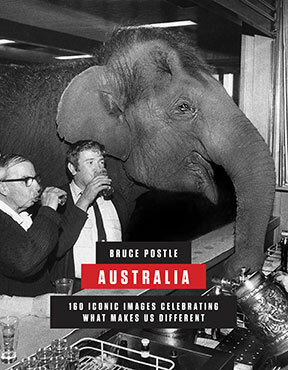 Australia presents 160 of Bruce Postle’s most iconic photographs from the past 50 years. It gives a fascinating insight into the heart and soul of a nation, capturing the essence of what makes our country unique: from first Australians to new arrivals, larrikinism to Anzac spirit, ghost gums to street protests, the outback to the beach, and fashion to flannies. Australia has it all.